There comes a time in everyone’s life when they are ready to take the next step. The next step can be different for everyone; for some, it’s a new car, an engagement ring, college, or a house. Unless you have been a miser for the entirety of your life and have scrimped and saved, you probably don’t have all the money that you need to make the next step happen. Lucky for most, our world operates on a system of credit. Consumers can have the things that they want before they have the money to cover it. However, lenders don’t just hand out money to anyone who walks in off the street. To qualify for a car loan or a homeowners loan you need to have good credit. When you have good credit, there are many benefits to be reaped. First and foremost, as already implied, it is easier to get loans. Applying for and getting a loan is a big step in a person’s life and it can be the beginning or the end of a successful financial future. When you apply for a loan, lenders will pull your credit report. Included in your credit report is your credit score. It’s a three-digit number which represents your financial well-being at any point in time. This number fluctuates based on how well you are able to pay off your financial obligations. It’s a representation of how much risk you pose to lenders. The main credit reporting agencies in Canada are Equifax Canada and TransUnion. They both use a scale from 300 to 900. If you have a score in the lower range, you pose as a higher risk for lenders and are flagged as less likely to pay back borrowed money. Numbers in the higher zone show lenders that you are responsible with your finances. Another factor to take into consideration is your credit rating. This is the lender’s opinion of your credit history and is rated on a scale between 1 and 9. Unlike the credit score, lower is better when it comes to credit rating, higher means that you have trouble paying back your financial obligations. In addition to the number, there is also an accompanying letter which signifies the type of credit you are using or used. “I” signifies credit which was given on an installment basis, for example, car loans are credit given on an installment basis. “O”means that you have an open line of credit, like student loans. Open lines of credit are when you borrow up to certain amount of money, and it is due back at the end of each period. “R” indicates revolving credit, like credit cards. It indicates when you owe a certain amount each month based on the account statement and you can borrow up to your own credit limit. There are many reasons to manage your score. Be sure to frequently check your credit report! Keeping a close eye on your credit gives you an upper hand when it comes to finances and helps you prepare for disaster. If, after checking your credit report, you see a less than favorable number you can do your best to pay down your debt and get your credit score back to where you want it. Also it is important to monitor your credit report for errors. There may be a time when something is reported that could be unjust. It is your responsibility to get that information stricken from your record. Both TransUnion and Equifax Canada offer free credit reports. You can visit their websites to obtain your free credit report online or by mail. To obtain your report you will need basic personal information such as birth date, current and previous addresses and Social Insurance Number. In addition to easier access to loans, there are other benefits to keeping your credit in tip-top shape. For instance, you may qualify for lower interest-rates on your credit cards if you have a higher credit score. Lower interest rates will save you money over time. Let’s look at a hypothetical example. Imagine that you purchase a quality pool table for your gaming room at a bargain price of $3,000. You put this purchase on your credit card and plan to pay it off over time. If you have a high score and consequently, a lower interest rate, for example, 9.9% over a course of 60 months, you will pay an additional $772.59 in interest. 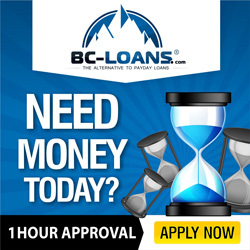 However, if your credit is not so great and you consider the same $3,000 purchase over the same 60 months at an interest rate of 18%, now you are paying a supplementary $1,484.20 in interest alone. Having a higher credit score can save you money in the form of interest payments. While we are on the topic of credit cards, it is noteworthy to mention that when a credit card company is looking at your credit report and score, they decide how much money advance they are willing to designate to you. Remember that credit is goods or finances that are lent to someone by an agreement that says the money will be repaid at a future date. So, when you are applying for a credit card, the company will look at your number and decide what is a safe amount to agree to lend you, this number is your credit limit. The credit limit is the maximum amount of money that a specific institution agrees to lend you, otherwise known as your line of credit. When you have a good score, credit companies are much more likely to assign a higher credit limit; thus giving you more breathing room. If you get into a serious pickle, for example, your car breaks down and you need cash fast-using your credit card could be the answer. Having a limited amount of credit can hurt you if you run into a financial disaster, but no one gets hurt from having too much credit extended to them. Well, unless of course, you are irresponsible with your spending. Another plus of having good credit is that should you be on the lookout for a new employer or a place to live oftentimes your credit score could be a factor. In regard to a job, having a good score demonstrates responsibility; much the same for renting an apartment. When you move into a new place and want to hook up the Internet or cable the utility companies can pull your credit report and take your history into account. If you have a low credit score, utility companies may make you pay a down payment instead of just hooking up your services. If you are looking forward to starting or switching your car insurance, credit can play a factor as well. People with poor credit scores often pay higher premiums on car insurance or are denied coverage outright. Additionally, if you have a good credit rating, there is a possibility that you may qualify for a discount on your monthly bill. -You need to remember to frequently check your free credit report and address any issues you see on it. Look for inconsistencies and mistakes. If you see something that you think is unfair, call your creditors directly and speak to them- they are people after all. -Pay your bills on time or at least pay what you can when you can. This is extremely important in maintaining good credit. -Be smart when shopping for loans. Save yourself money and find a loan that has a good interest-rate so that you can reasonably make payments. -Be selective about when you apply for lines of credit. Too many credit inquiries can look bad on your report. -Open a checking and/or savings account to establish a relationship with regional banks. When you establish a relationship with local banks, they begin to know you as a person. When the time comes for a big purchase that requires credit, having a relationship with a branch can work in your favor. -Open credit card accounts to establish good credit. Using gas cards or store brand credit cards are often excellent ways to bulk up your credit rating. Just be sure to only open these types of accounts if you can reasonably and responsibly make your monthly payments on time. Paying your payments on time will not only help you avoid interest charges but will also help to establish your credit history. Keeping your credit in good shape takes dedication and strength, but now that you know all the benefits you can clearly see that having good credit is well worth it. By establishing and maintaining credit you can allow big steps in your life to happen when YOU are ready for them to happen.